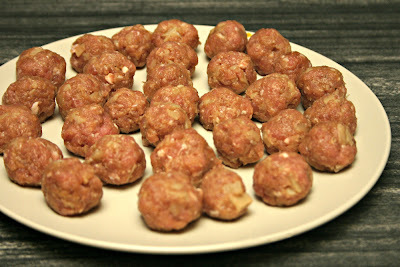 Yields 6 to 8 small servings as a soup accompaniment or appetizer. 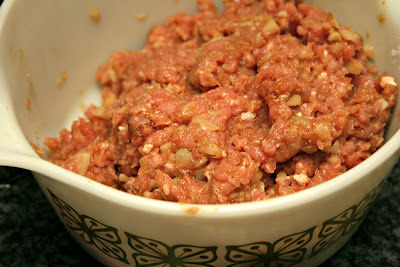 Mix the ground pork ingredients thoroughly in a bowl. 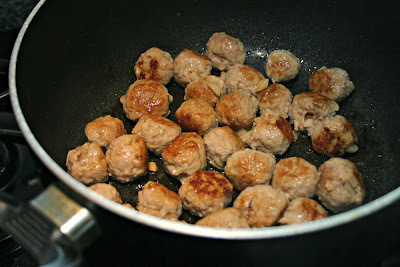 Form into meatballs (about 1-inch in size) and set aside. 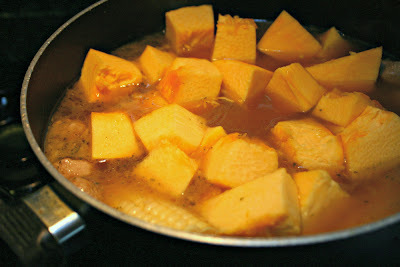 Prep the pumpkin by removing the seeds and innards and the skin. 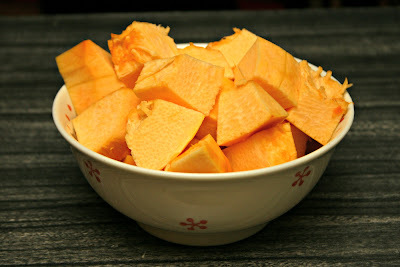 Then cut the pumpkin into large chunks. 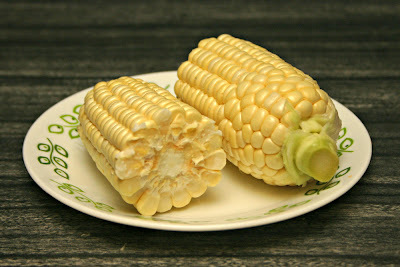 Shuck the corn and cut each cob into two pieces as shown above. 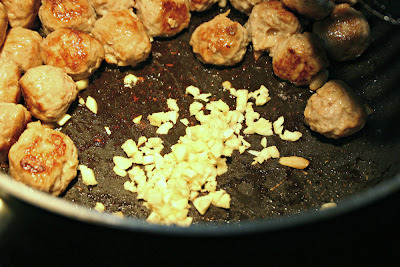 Heat the oil in a large pot then add the meatballs. Brown them for about 2 minutes. garlic for a minute until fragrant. Make sure the garlic doesn't burn. 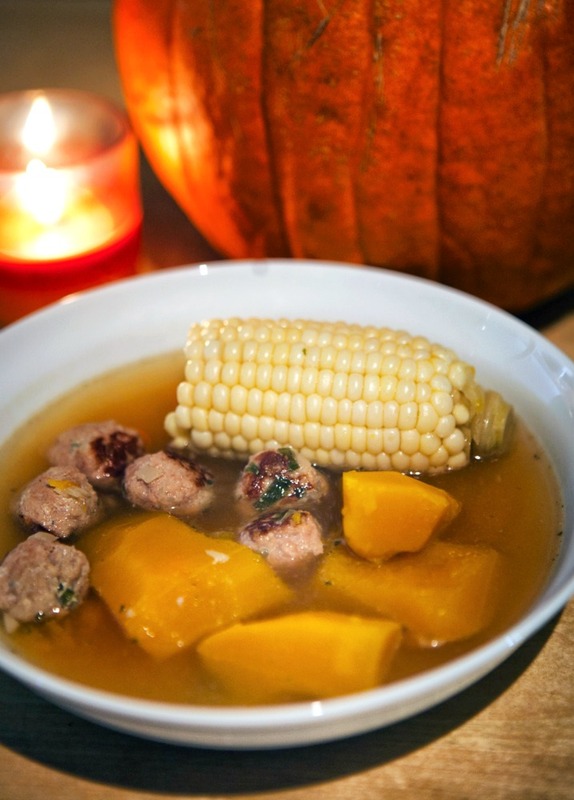 for another 20 to 30 minutes or until the pumpkin is soft and tender. 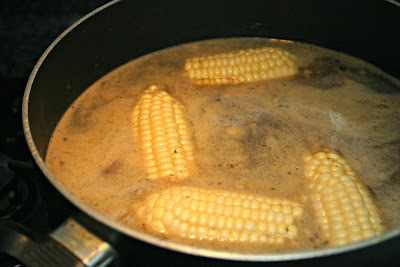 Turn the heat off and allow the soup to sit, covered, for a couple of hours. 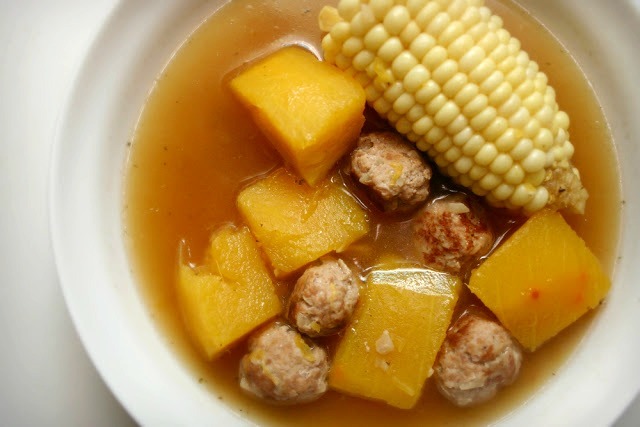 Reheat the soup right before serving.